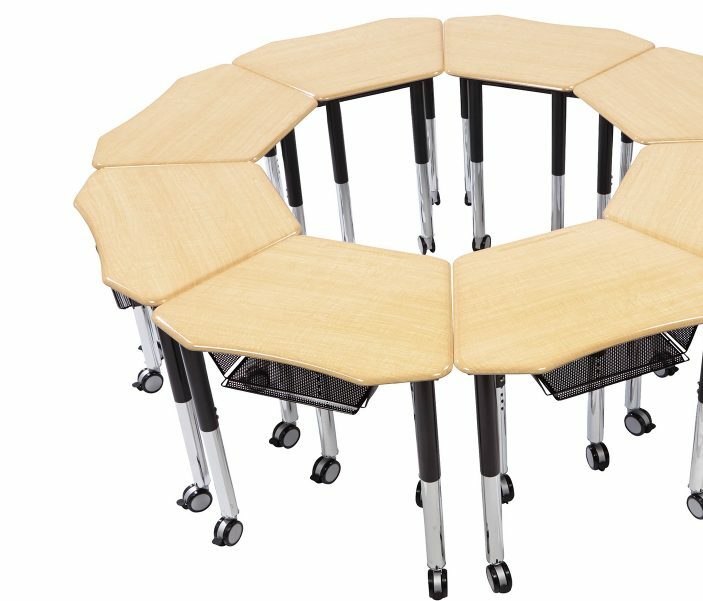 Striking and strong, Petal Series pairs personal space with collaborative learning. Two desktop sizes available, perfect for any room size. 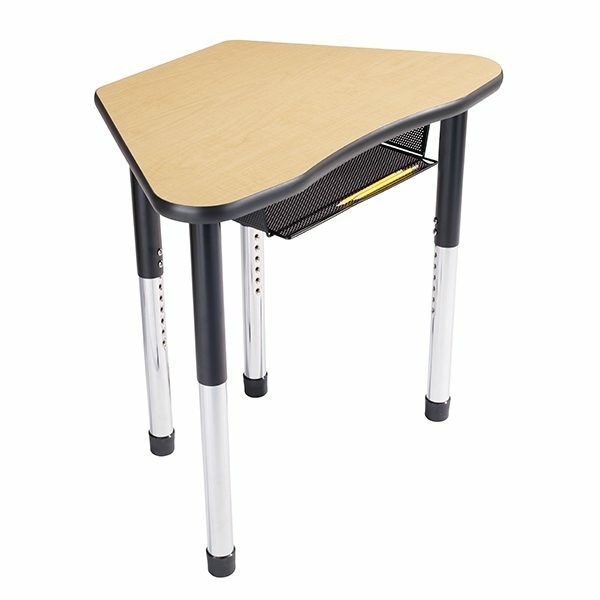 Combine with Petal Jr. with the Lazer Teacher Desk for instructional help in each Pod. 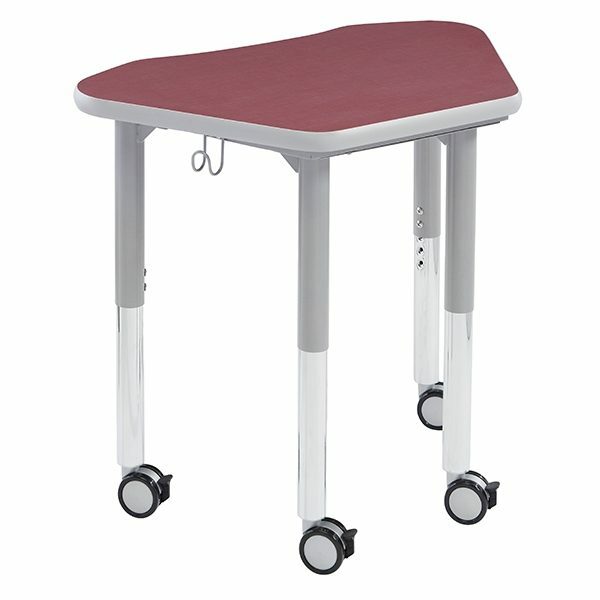 Options of Casters or Glides; Height Adjustable; Mesh book-box and backpack hook. The Petal offers 529 sq. ft of desktop space and can congregate in pods of 4 and 6. 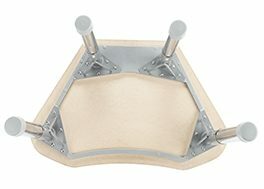 The Petal Jr. offers 510 sq. ft of desktop space and can congregate in pods of 4,6 and 8. 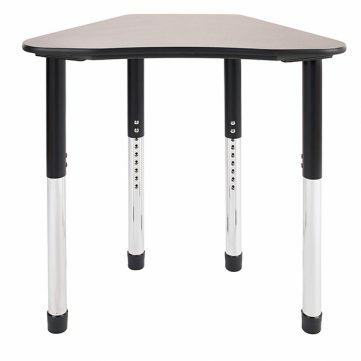 This strong and durable desk is supported by fully welded unitized frame of 18-gauge steel tubing. The upper legs are attached to the unitized frame quick-mount brackets and supported by heavy duty steel support plates. Heavy backpacks? For added strength, the backpack hook is securely attached to the unitized frame, not the desktop. 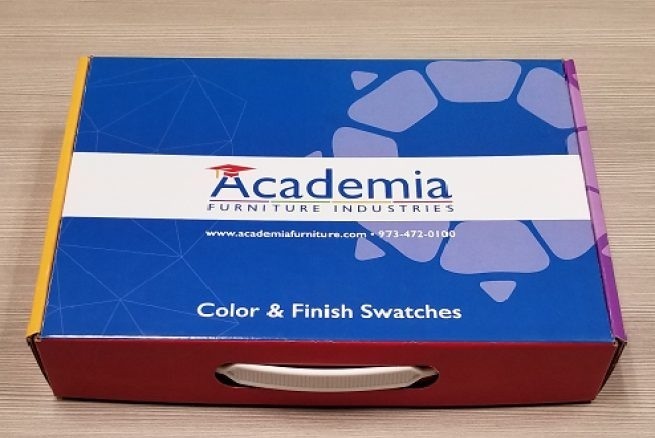 Maintain the classroom neat by adding a steel mesh book-box. This book-box has a pencil grove too. 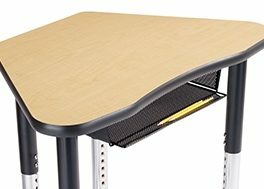 This height adjustable desk ranges from to 23" to 32". Toddler height legs are also available, these range from 17" to 22" in height. Come together and brainstorm! 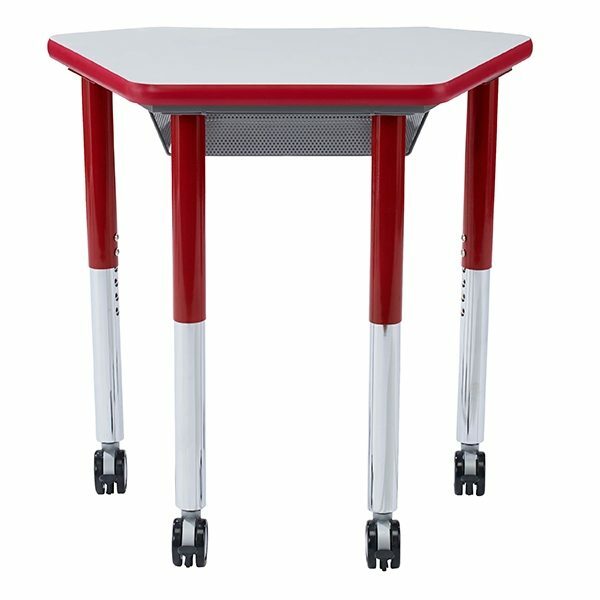 The Petal Desk is available in two frame finishes, two desktop finishes, and many color options. Explore the Petal Series. Collaborative learning paired with ample personal space. Over 500 square inches of desktop space—plenty of room for books and papers. 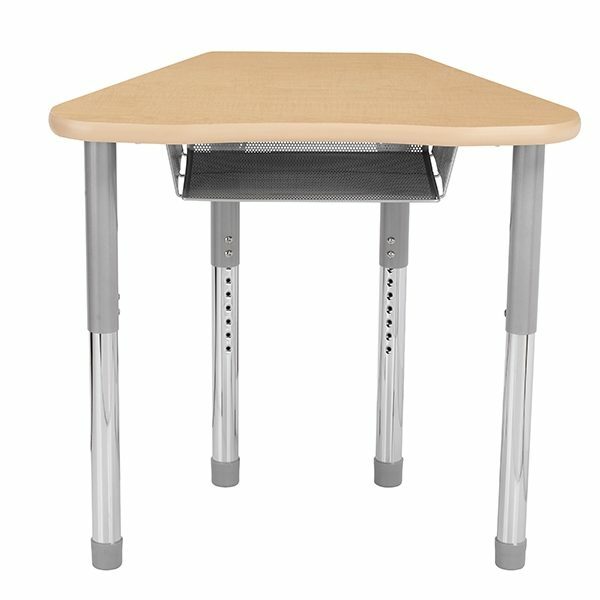 These versatile desks can be easily grouped together for collaborative learning. 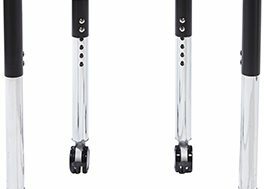 Our Hercules legs combined with our new unitized frame form Olympic strength to provide years of use. 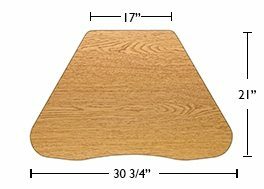 Petal Desktop (1900): Desktop is 32½" × 20 1⁄2" laminate desktop. Desktop is attached to fully unitized frame. Frame: Powder coated ¾" square 18 gauge steel tubing. Educational Edge (EE): Edge banding and legs are standard black or gray unless Educational Edge is selected. Educational edge selection on Hard Plastic models is only for colored legs. For EE colors, go to options tab. 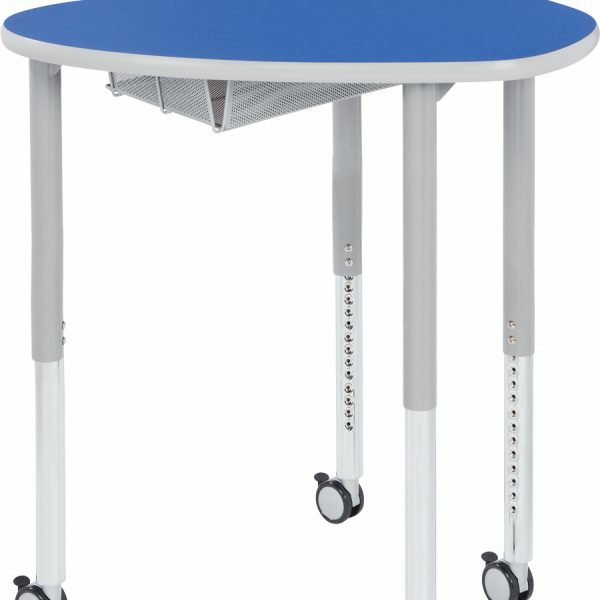 Glides: Matching to edge/legs colored polypropylene 2" adjustable height glides. 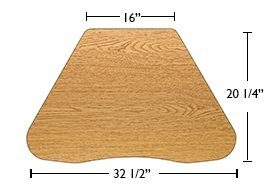 Petal Desktop (1900): Desktop is 32½" × 20 1⁄2" hard plastic with molded pencil groove. Desktop is attached to fully unitized frame. Petal Jr. Desktop (1950): Desktop is 30 ¾" × 21" laminate desktop. Desktop is attached to fully unitized frame. 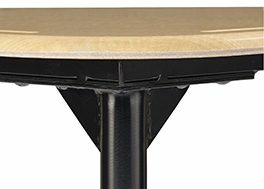 Educational Edge: Edge banding and legs are standard black or gray unless Educational Edge is selected. 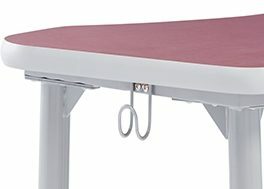 Educational Edge is applicable to the edge banding, upper leg and glide. For EE colors, go to options tab. 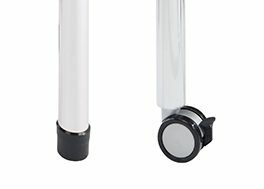 Glides: Colored polypropylene 2" adjustable height glides. Matches with edge and legs. Petal Jr. Desktop (1950): Desktop is 30 ¾" × 21" with molded pencil groove. Desktop is attached to fully unitized frame. Educational Edge: Educational edge selection on Hard Plastic models only applies to the color of the upper legs. For EE colors, go to options tab.